A breakthrough for inclusive education in Singapore. No one believed that it could be done. Kindle Garden was to be Singapore's first inclusive preschool, accepting typically-developing children as well as those with Downs Syndrome, visual and auditory impairments, and needs at various points on the ASD spectrum. Our clients were told repeatedly that it would not work, because the parents of "normal" Singaporean children would not send their children, afraid that they would "fall behind." However, we shared their belief that a beautiful, bespoke school for all children (regardless of needs) would be attractive to parents who valued empathy, social skills, and comfort with difference. And indeed: one year after opening, there was a one-year waiting list for all children. As a result, other inclusive preschool projects are currently underway in Singapore; a fact that we’re very happy about. All elements of the new school were redesigned with inclusiveness in mind. Classrooms abandoned tables and chairs in favor of free-form teaching spaces that catered to each child's physical and cognitive profiles, stigmatizing no one for difference. Sitting surfaces, decor, and therapeutic elements were all integrated seamlessly into the space. 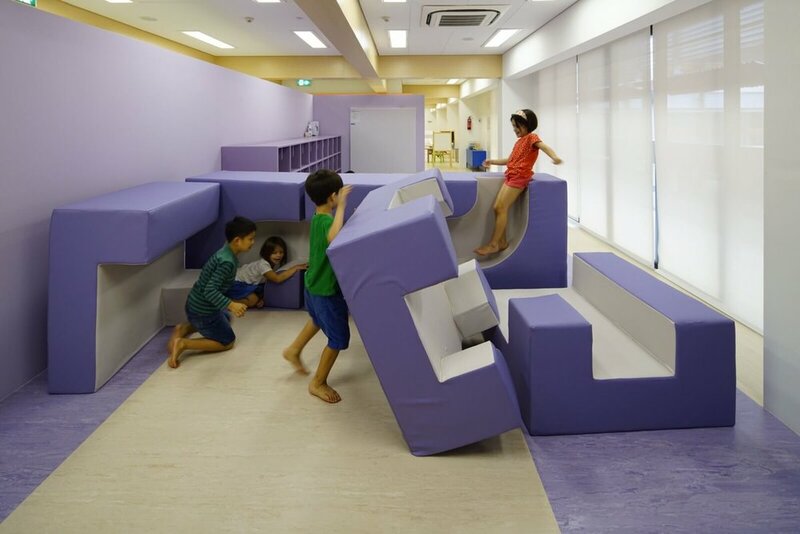 All "clinical" elements were re-designed to communicate an upbeat, modern learning space for children on a par with the highest world-wide standards. All required therapy equipment, "quiet" sensory spaces, and communication devices (such as visual time-tables) were crafted to support this goal. 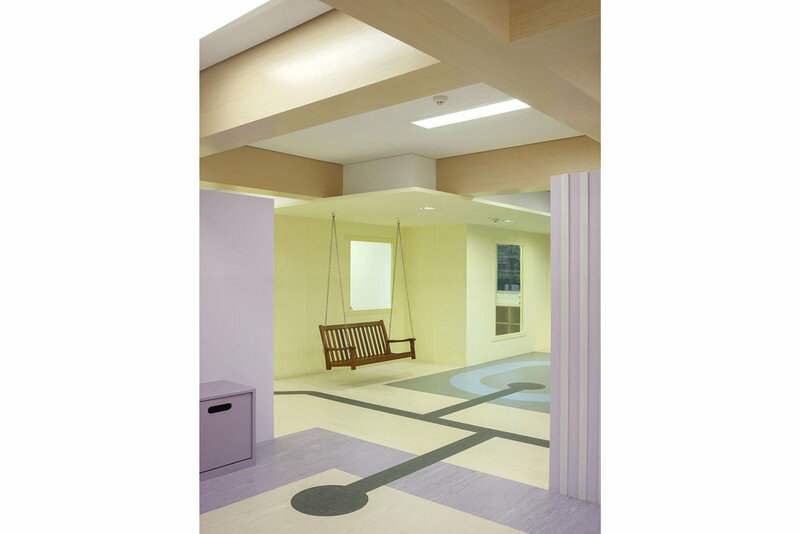 At the same time, interior spaces were calibrated to provide color and materiality without aggravating the visual sensitivities of persons on the autism spectrum. A special palette of variation within specific colors allowed for a limited tonal range, minimizing contrast and pattern. Special signage guidelines, icons, and visual display systems were also designed to support the environment and meet the needs of students.